Hello everyone again! 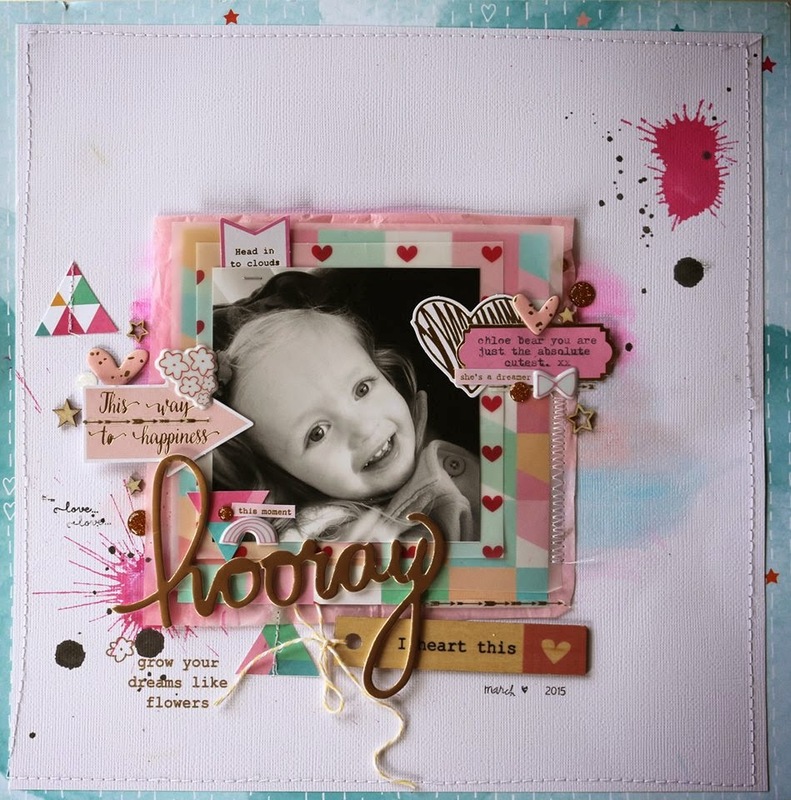 I am back to share this gorgeous layout I made using the fabulous new Pinkfresh Studio Up in the Clouds collection. The collection is so happy, bright and fun and was so fabulous to use on this black and white photo of my niece. I used mostly embellishments and papers from the collection however I added a few bits and bobs left over from other projects and some pieces from older Studio Calico kits. I also used some more of that gorgeous pink tissue paper that THE SCRAPPERY kits come wrapped in. I also took some close ups to capture the detail. 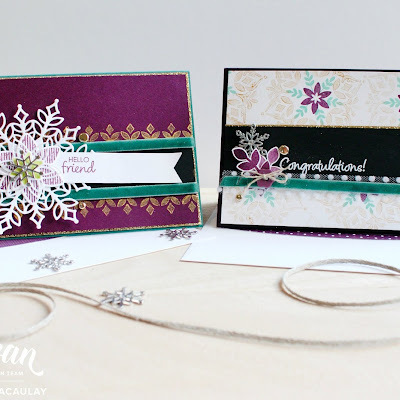 I love how the gelatos that I used helped to soften the background and make those bright bold colours a tad more subtle...because I know that sometimes that bright bold patterns can be daunting to work with. I also added some zig zag stitching up the time. I have found a new love with my sewing machine again! 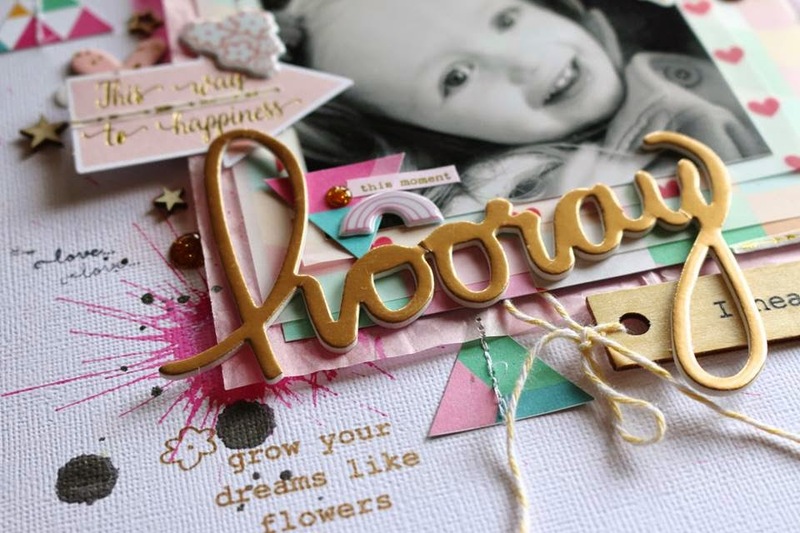 The gold 'Hooray' title was left over from the February SCRAPPERY kits and I thought the gold worked really well with this layout. 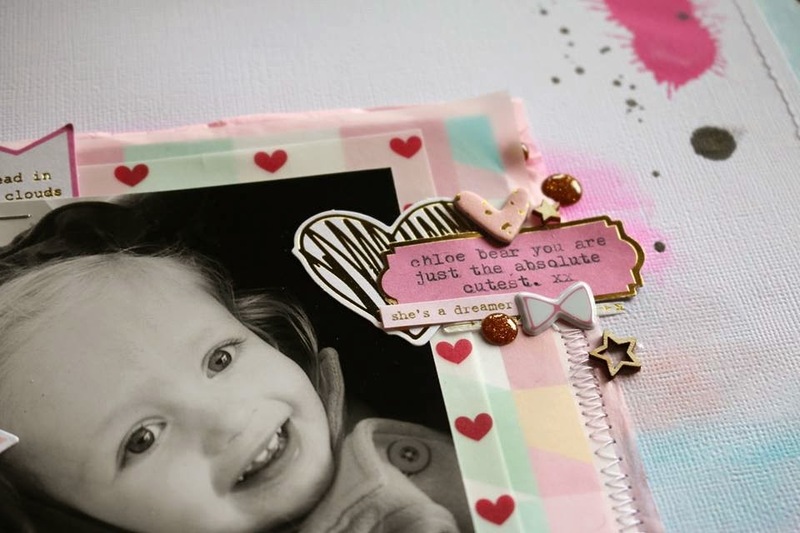 I also broke out my favourite Tim Holtz Picked Raspberry Distress Stain for this layout again. I have a slight addiction to using that stuff! 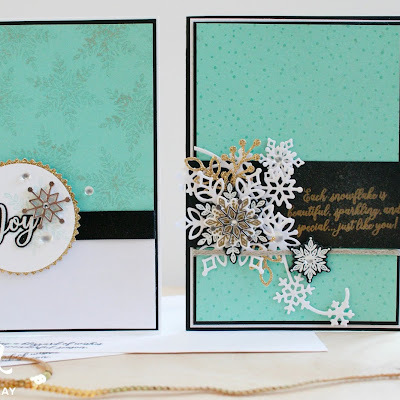 And one last sneak peek at the layout. 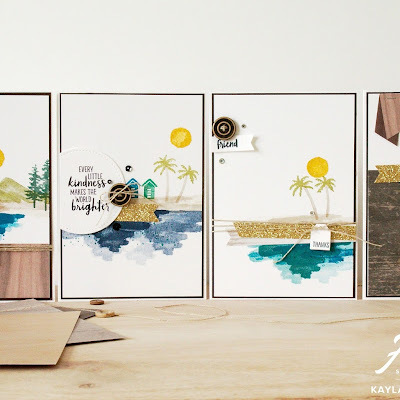 I hope you enjoyed this look at this layout I created using these Pinkfresh Studio products. 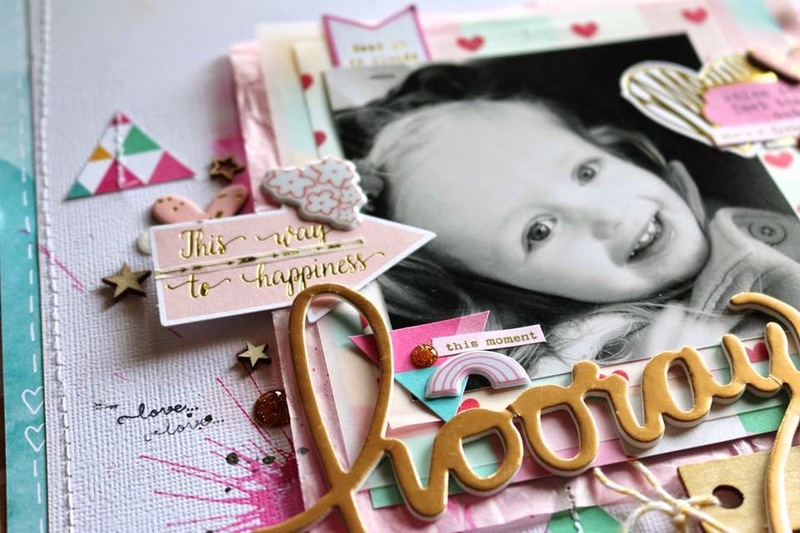 I had a lot of fun making it and I am having fun getting back into traditional scrapbooking.